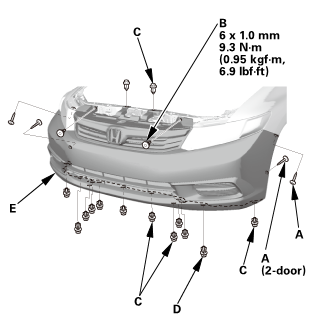 Remove the front grille (A). 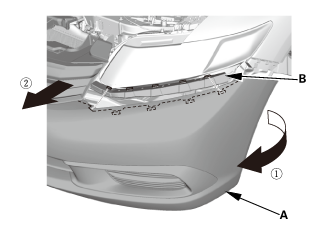 Remove the front bumper upper duct (A). 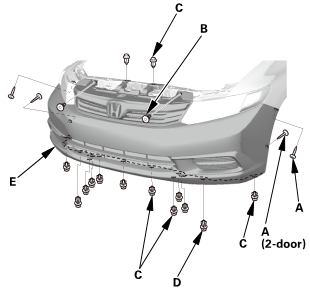 Remove the front grille molding (A). 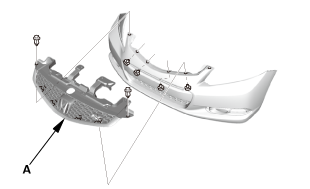 Remove the front grille brackets (A). 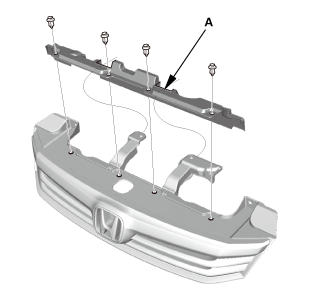 Remove the push nuts (B), then remove the front ‘‘H’’ emblem (C). 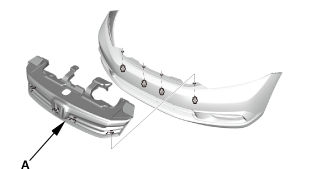 Si: Remove the front ‘‘Si’’ emblem (D). Si: Install the front ‘‘Si’’ emblem (A). 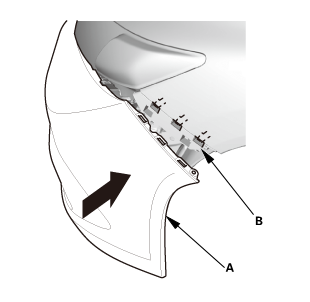 Install the front ‘‘H’’ emblem (B) with the new push nuts (C). 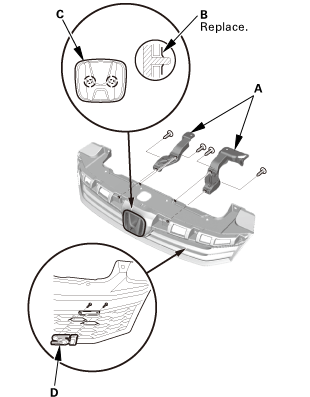 Install the front grille brackets (D). 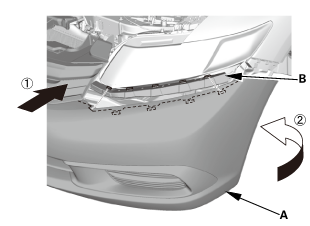 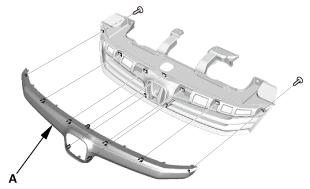 Install the front grille upper molding (A). 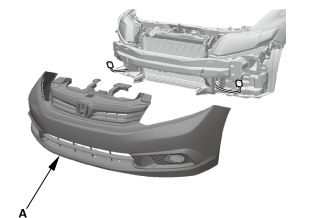 Install the front grille (A).